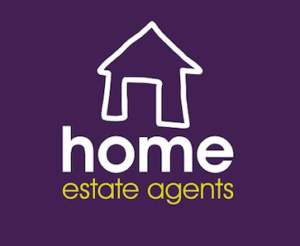 Home Estate Agents was set up in Autumn 2010 and we are proud to say that we are already one of the leading Estate Agents in Tameside. Covering the whole area from Stalybridge, Carrbrook and Mossley through to Dukinfield, Hyde, Denton, Ashton under Lyne, Droylsden, Gee Cross, Godley and now Saddleworth! We have an extensive range of properties for sale ranging from flats and apartments through to large detached houses. Home Estate Agents have excellent local knowledge that provides a new and fresh approach to selling property in the Tameside area, which helps us to obtain the highest price for your home. We offer realistic valuations and low rates; combined with our exceptional marketing package there is no better place to sell your home. Our marketing includes listing your property on rightmove, zoopla and many more leading property portal websites to gain maximum exposure. All our properties are marketed with professional photography and 3d floor plans, we also offer virtual tours and Premium Rightmove Marketing. Home Estate Agents have many satisfied customers and a long list of testimonials and recommendations. 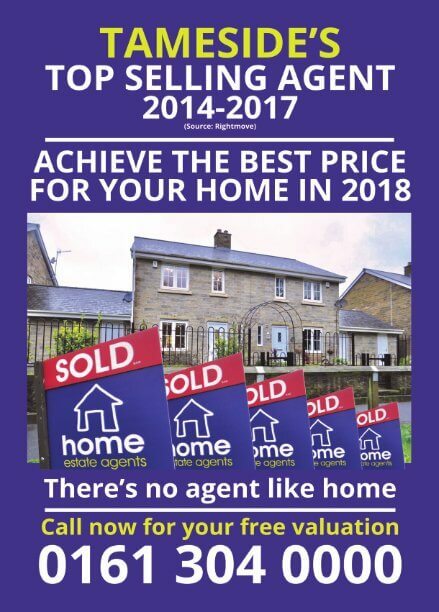 If you are looking for an estate agent who will show off your home to the widest audience then call us today on 0161 304 0000 for a free valuation.